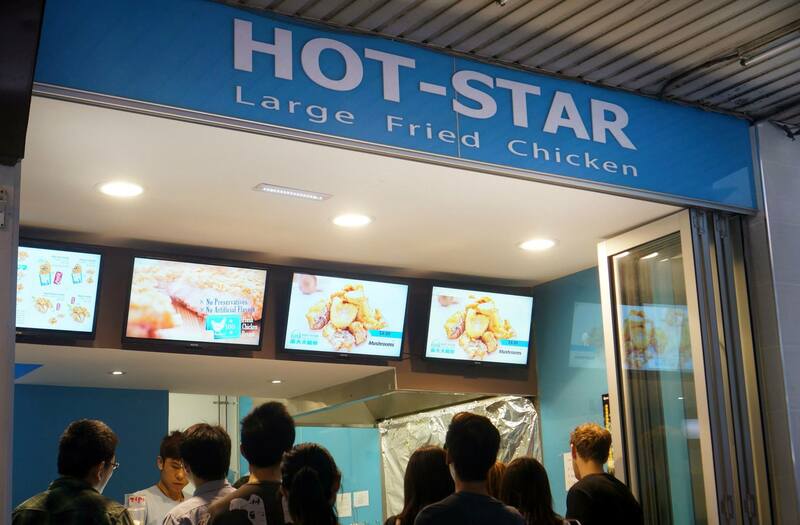 It’s a little hard to think of what to write for fast food but here goes nothing 🙂 When Mr C and I were in Taipei I remember seeing Hot Star Large Fried Chicken around but we never thought to try it out because we didn’t know much about it. Luckily for us they recently opened a store in Sydney and there’s been plenty of hype around the amazing chicken they serve so we deciced to visit and see for ourselves! The fried chicken (above) we ordered was only $8 and it was MASSIVE. If you’ve ever had fried chicken at Chefs Gallery or Din Tai Fung before you will notice that it’s quite similar apart from the size. It’s very crispy but retains a good amount of juice inside, this in combination with the chilli powder makes it a great tasting snack – or meal depending on how much you can eat. Apologies for the horrible focus on this picture, I believe Mr C was in a bit of a rush to eat because it looked so delicious that he forgot to check if it was focused properly. 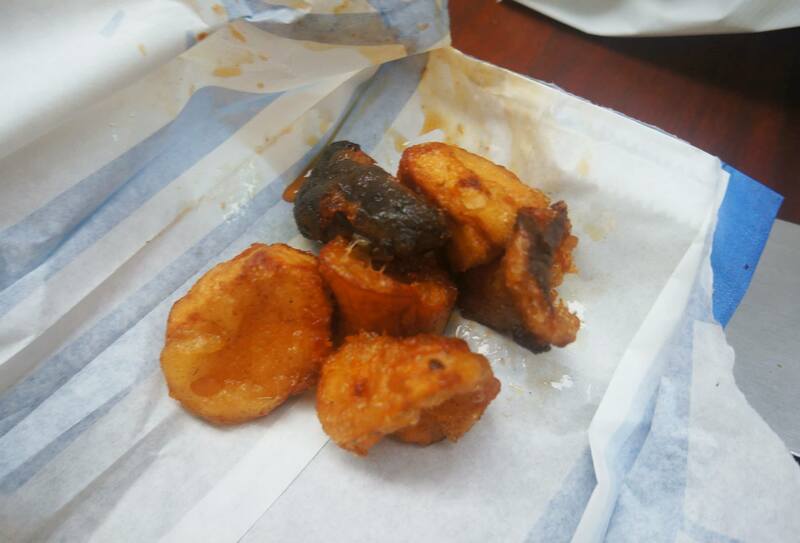 As a side order we decided to see if the fried mushrooms were any good and they really were, the mushrooms which I believe are King Mushrooms have a crisp texture and awesome earthy flavours. One can never go wrong with $8 fried chicken with a diameter larger than your head, I would totally recommend checking this place out unless you’re on a diet 🙂 The fried chicken is so good and something that I’ll probably constantly crave for even though I know it’s not good for me. 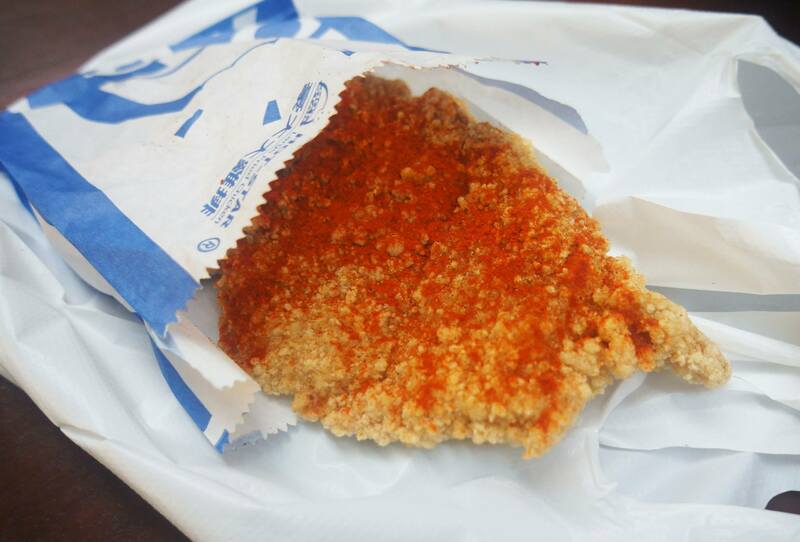 Blistering hot juicy chicken breast! Their mushrooms are crazy good too. I actually burnt myself on the first bite, so worth it! Me too 😀 Best part! I didn’t think I’d want to revisit so soon but dayumn, yes. But how could you not want to revisit!?? ?